I think I have a unique perspective being a youth martial artist myself and growing up in a martial arts school. My school was located at Clark’s Academy, on 409 ½ East Front Street, in Monroe Michigan from 1981 to 1990. I know that for me, there was no better place to grow up as a young teenager than at that martial arts school on Front Street. In our hyper-connected culture, some things will never change. One of the greatest joys I get to see is the growth and development of young people as they move from youth students, to teenagers, and then eventually to adulthood. I’ve literally been a part of thousands of student’s lives and I have seen them journey through these fun, awkward, joyful, and exciting times. Although sometimes this journey can be compressed like in less than two 3 minutes! I want to tell you a story about one of my students. The student in question is a very nice, earnest, well-mannered young man. I use that term young man, and not boy, in a very purposeful way. Although we never require a student to compete in tournaments, it is something that can change you for the better given the right circumstances. For this student, I saw a boy transform into a young man in just a single 3-minute round. You see, being a coach in any activity there are moves and conventions that are commonplace, and then there are “outliers” of technical skills that can be hard to prepare for because you’re so busy preparing for what’s most common. In Brazilian Jiu-Jitsu, we typically de-emphasize headlocks. We typically look down our nose at those sort of hold downs so we don’t typically spend a great deal of time addressing how to get out of that position. 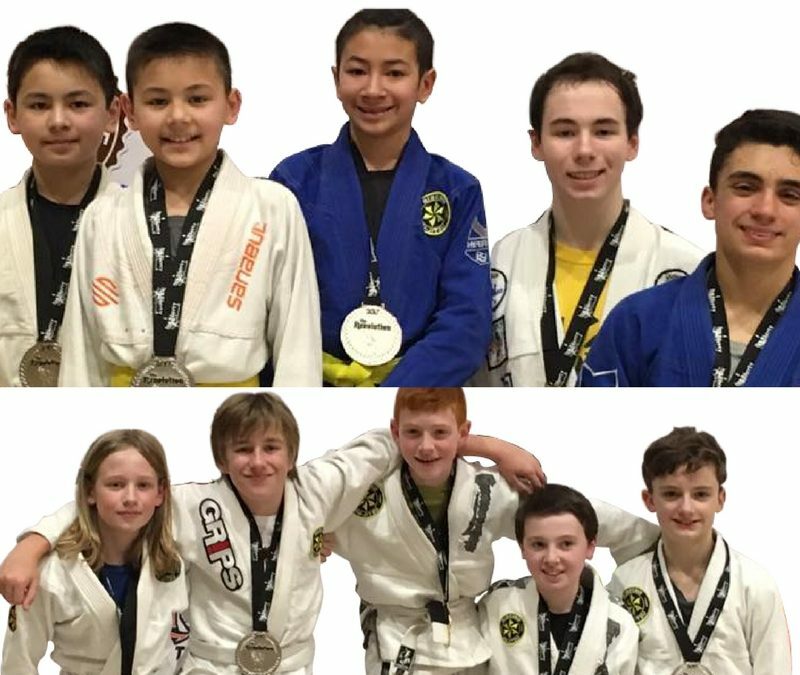 However, at the last Revolution tournament there was a Judo School attending which emphasized a very specialized headlock called “kesa-gatame” or a head and arm headlock. This student went out and got stuck in this specialized headlock from an aggressive student for nearly two minutes out of the three minute round. During this time the student was listening to my coaching… I saw him struggle…. I saw him move…. I saw him try to think things through…. I saw him use critical thinking and leverage and movement and everything that he had been taught to try to solve this puzzle of escaping the headlock. It would be easy for the student to give up and lay there and let three minutes expire. In the education community, much is talked about a life skill called Grit, but it’s very difficult to understand this idea of being comfortable with being uncomfortable in a visceral way. Getting stuck on the bottom of a headlock and trying to escape for two minutes will force you to understand grit in a way that very few people do. Not only did my student finally escape after two minutes, he then went on scored seven points to win the match. In that first two minutes, I saw that young boy make a transition and a shift in their brain so that they can understand, in a visceral what “grit” really means. Sometimes we teach a life-skill word by giving a definition or having students complete an assignment. In this instance, that student had an experience first hand, through trial and perseverance, even when it was uncomfortable. There is a saying that “the map is not the territory.” In other words, you read about Grit, you can watch videos about Grit, you can try to understand Grit and a very real way, but until you understand an experience like my student did, you will not really come to grips of what it takes to be mentally tough in the face of adversity. Also, kudos to the family. They were incredibly supportive, before, during, and after the match. Instead of congratulating the student on winning, the spoke of how proud they were that their child never gave up! Moments like this are what show how martial arts gives great opportunities to teach real life skills, and not just words on a piece of paper, or motivational poster on the side of the wall. Martial arts can give us the tools to equip ourselves, so that when life is” holding you down”, you’ll be able to weather the 2-minute round, get out of the bad spot, score your points, and potentially come out on top.